Looking to begin your hockey fun? Wondering what equipment you need? 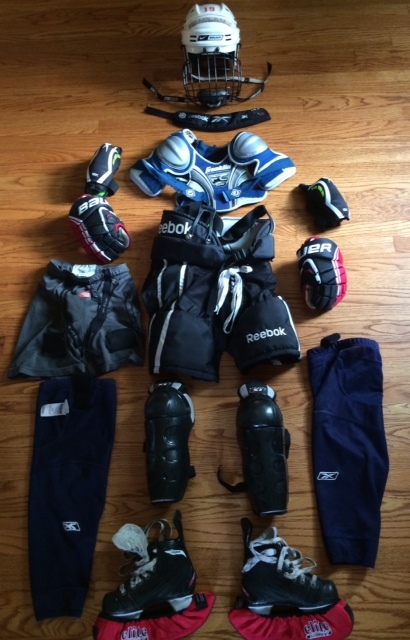 What does all of this hockey equipment look like? And… of course... a hockey stick – until your player figures out which way they shoot, a straight blade is the best for new players. And don’t forget a hockey bag to carry all of your gear as well as a water bottle! Brands? Where to buy? Where do I get all of this stuff? How much does it cost? All great questions! There are many good brands out there, including Easton, Bauer, CCM, Reebok, and Warrior to name a few. A few critical things to keep in mind as you shop is that your new player won’t have as much wear and tear on their equipment as a High School player would and your new player is likely to grow and change sizes multiple times over the next three to five years. Used equipment can be a great option as you explore a new sport, but keep in mind that well-fitting equipment and a good pair of skates are keys to success as your player learns to skate. The Pro Shop at South Windsor Arena. A limited amount of equipment is also available for purchase at Veterans Memorial Skating Rink. 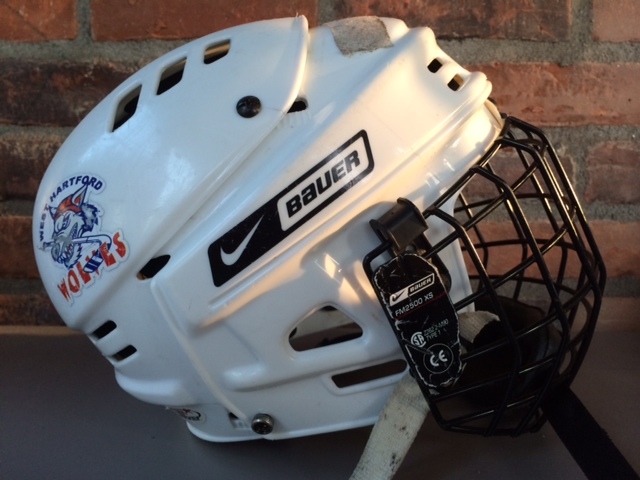 In addition, a number of on-line options, including totalhockey.com and hockeymonkey.com, are available and can provide a savings opportunity should you know the size and brand your are looking for. A complete set of hockey equipment may cost anywhere from $100 to $500 depending on the brands and models you wish to purchase. Some brands offer a learn-to-play package in which you can purchase the bulk of your needs as a block set – keep your eye out for sales and advertisements. If you have any questions related to equipment needs, please contact (WHYHA Director Mite Hockey) or (WHYHA President) and they will be glad to provide further information.